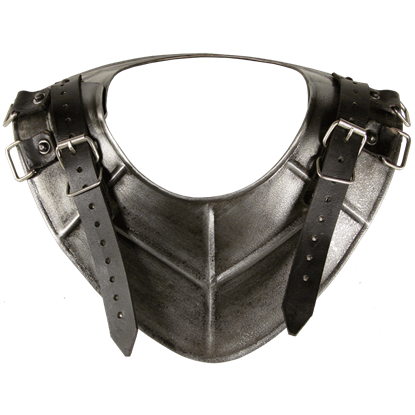 When piecing together armour for a LARP character, whether young or old, the medieval fighter should never be without protection for the lower neck. 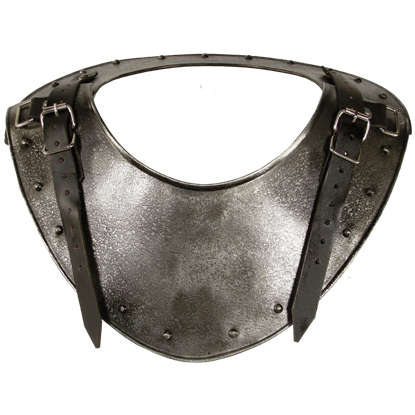 The Childs Dark Warrior Gorget is a worthy choice for a young knight or battlemage. 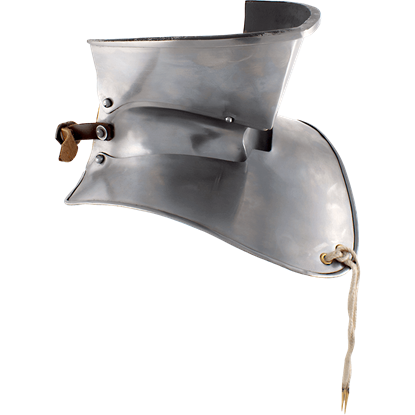 Consider the epic adventure and unforgettable memories that await the brave warrior who dons the Childs King Gorget. 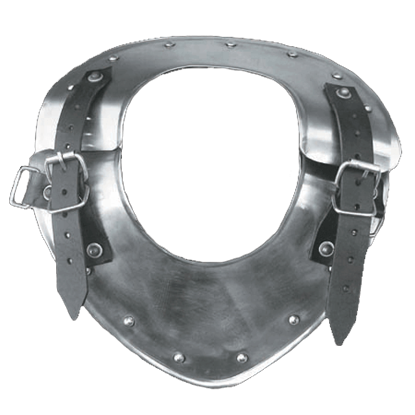 Perhaps the young role-player may choose to conquer another kingdom, or join the ranks of the Knights Templar. 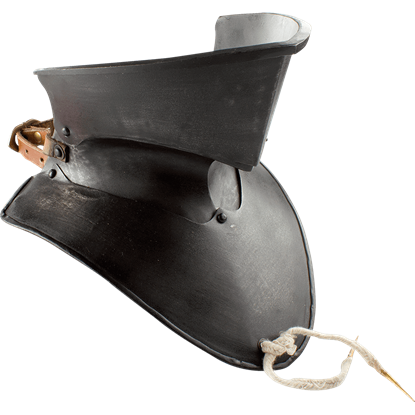 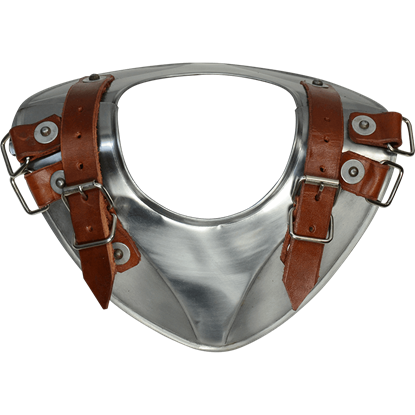 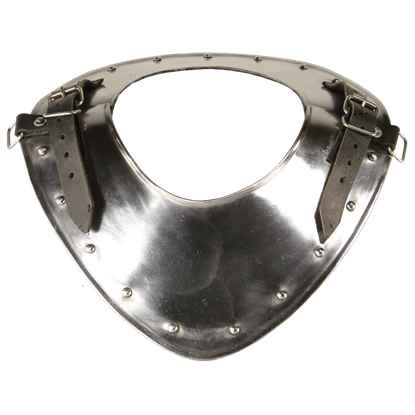 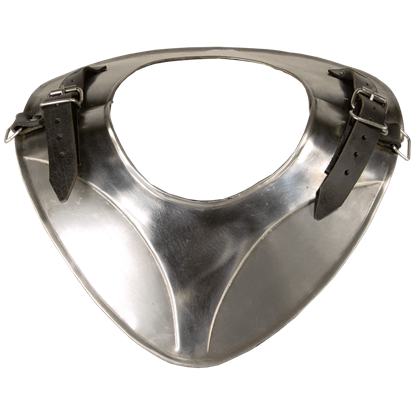 For the young knight who wishes to complete an epic journey, one certain to provide countless opportunities for battle as well as bumps and bruises, the Childs Warrior Gorget offers protection to the lower neck, throat, and thorax.